It's impossible to just love the films you love. You think you do, but you don't, because there are constant reinforcements and demands placed on you from outside, from society, about what makes a good film. You spend most of your time watching the same crap that everyone else watches; and the questions are constantly demanded of you --- is 'The King's Speech' as great as they said? Is 'Pulp Fiction' a masterpiece? Is 'It's A Wonderful Life' a wonderful movie? There are some people who rebel against this. Spend their nights purposely watching Horror B-Movies, or obscure Japanese anime. But it's rarely organic, rarely just a natural interest -- more often, it's a reaction to everyone and everything else. There is a lot of watching films out of duty--- this gets even worse when you work in the industry; you watch 'The Artist' and 'Shame' regardless of whether they interest you. 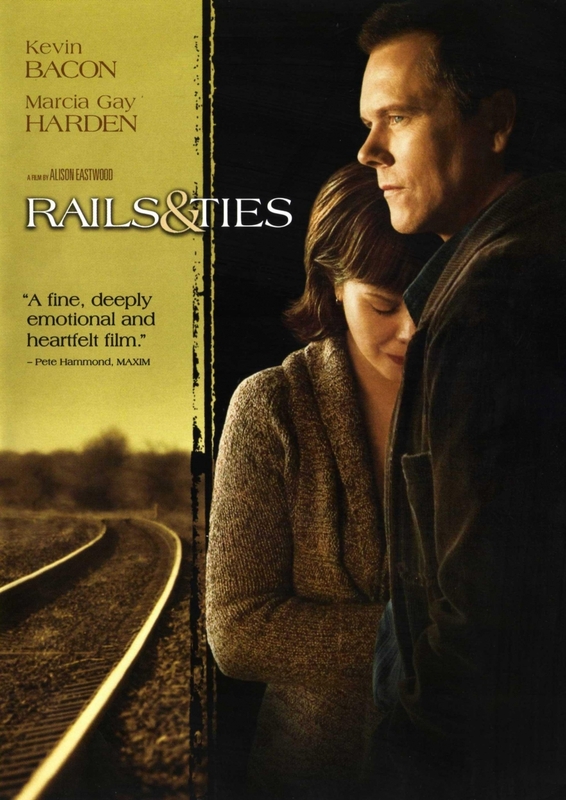 In the last two days I've watched "Rails & Ties", a small movie from 2007 starring Kevin Bacon and directed by Alison Eastwood, and I also re-watched "Seven Pounds" starring Will Smith, directed by Gabriele Muccino. I love both of these movies. They capture what I love about cinema. "Seven Pounds" made a lot of money, but it didn't win a lot of fans. The critics hated it and the public wanted the usual Will Smith they were getting accustomed to seeing every summer. This was not it. It was a risk, that didn't pay off critically, but it did artistically (in my opinion). 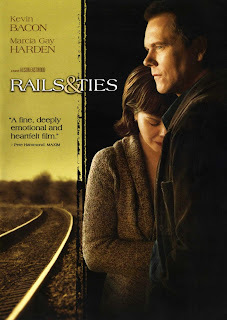 "Rails & Ties" was Alison Eastwood's directorial debut, and yes; she is Clint's daughter. The film is about a train driver whose train collides with a car on the track; killing the woman in it. It was a suicide, but the question remained, could Tom (Kevin Bacon) have slowed down the train to avoid disaster? The woman's son Davey (Miles Heizer) certainly thought so -- and the 10 year old tracked down Tom to confront him about it. Tom's wife Megan (Marcia Gay Harden) is in the final stages of terminal cancer. It's a horrible situation for all; a boy with a dead Mother, a man with a dying wife, and the wife who never had a child, whose husband is pulling away from her. All of this is remarkably poignant. It's a film about three people for whom life has lost meaning. Through the unusual and bizarre circumstances, they find that they need each other. Tom and Megan begin caring for Davey, and hiding the fact from child services (because of course it would be illegal). The weirdest thing is that, as a viewer, we believe in what they're doing. It feels right, even though it's hugely against societal norms, and if we heard a case like this in real life, we'd demand they go to jail. That's the one great thing that movies teach us, we never know the real story, we never know people's true intentions, we just stick to societal rules and stereotypes. 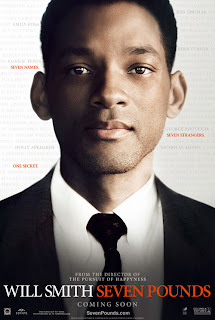 "Seven Pounds" is a beautiful and subtle movie, and shares some similarities with "Rails & Ties". Ben (Will Smith), like Tom, is responsible for some deaths (he got into a car accident while looking at his phone). He decides to heal this wrong by committing suicide, but in a way that helps save seven other lives with his extreme selfless generosity. It seems cheesy, preposterous; and, having seen all the critics reviews, perhaps it is, but it worked for me. It's so easy to moan about the film industry, about how good films don't get made any more. These films are evidence that this isn't true; because they're great movies. But then again, perhaps you think they're terrible movies -- which is an even more important answer. Because how can anyone try to make a great movie, when we all interpret them so differently? We all agree on "Casablanca" and "Shawshank Redemption", aside from those, it comes down to personal preference. My true honest preferences seem to be for subtle human stories that have integrity, authenticity, and heart, that average around 6.7/10 on IMDB. Can they make films for me? Not intentionally. You should watch "Rails & Ties". Even if you don't like it as much as I did, you'll see a great performance from Kevin Bacon. He has a knack for taking unusual and risky roles. I find him so much more interesting than the bigger box office draws. The film also has a wonderful and amazingly upbeat ending -- and it's all achieved by a few looks, a piece of music, and a final shot. Truthfulness and subtlety, such a rarity, but wonderful when you find it.